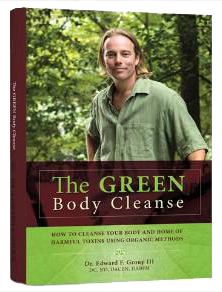 The Green Body Cleanse, by Dr. Edward Group, III, is the most comprehensive I have read on the subject of detoxifying the body. Dr. Group believes that most disease originates in the gut, an opinion shared by many natural health practioners who understand that the gut is much more than just an organ of digestion and elimination. The wide variety of important roles the gut plays in keeping the body healthy are thoroughly explored by Dr. Group, including its essential role as a vital part of our immune system, responsible for about 80% of our immune function. He also expounds his own very interesting theory about the purpose and function of the appendix. One thing is certain: We cannot be healthy with a sick and toxic gut. The Green Body Cleanse provides a comprehensive program for detoxifying the body and creating a healthy gut environment. Much more than a book about detoxifying the body, The Green Body Cleanse is a complete program for achieving optimum health in a toxic world. Dr. Group suggests a wide variety of options for protecting ourselves from the dangerous environmental assaults we all face daily. He provides natural organic alternatives to the toxic products and chemicals that are commonly used and generally assumed to be safe, but which in fact make up poisonous cocktails that we eat, drink, breath and bathe in daily. Dr. Group subscribes to the idea that the most effective way to detoxify is to not allow toxins to enter our body and personal environment in the first place. For those who want to be healthy but are uncertain how to avoid the modern minefield of health dangers, he helps clear up confusion and guides us on the path to health with clear plans and real, easily accessible solutions. Although Dr. Group thoroughly informs the reader of all the toxic hazards around us, he is not a prophet of doom and gloom. 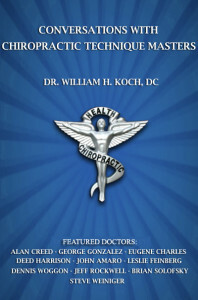 He doesn’t just tell us what is wrong, he provides us with an encyclopedia of natural, practical solutions for almost any physical condition you can imagine and some you probably never heard of. The Green Body Cleanse should be in every family’s library and on every doctor’s desk as a reference. The book itself is of the highest quality, beautifully illustrated and exhaustively referenced, containing numerous appendices for easy reference.